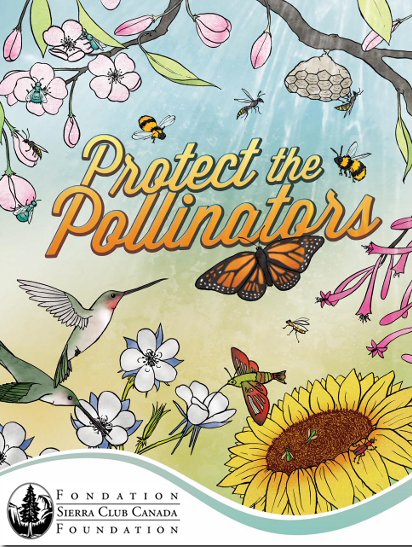 It might still feel like winter, but spring is fast approaching, and preparations are well underway for Sierra Club Canada Foundation’s Protect the Pollinators cross-country tour, sponsored by Simpatico Song and Script. We will be holding an event in Vancouver on Thursday March 19. Join us for a discussion on pollinators and pesticides, and get the latest information on Sierra Club Canada Foundation’s efforts to ban toxic neonicotinoid pesticides, also known as neonics. Get the latest developments on what governments, beekeepers, farmers and environmental groups are doing to help bee populations, and learn what you can do to help. John Bennett, National Program Director of the Sierra Club Canada Foundation, and Paul McKay, author of The Kepler Code, will be speaking and answering your questions about the threat of neonics and the importance of healthy pollinator populations, joined by Hives for Humanity. The tour will also be stopping by Victoria, Vernon, Calgary, Edmonton, Saskatoon, Winnipeg, Brampton, St. Catharines, Windsor, Kitchener-Waterloo, Toronto, Sudbury, Ottawa, Kingston, Montréal, Fredericton and Halifax. Check our website for more information. Canadians are an important part of the discussion on pesticides. We hope you will join us. If you plan on attending our Vancouver event, please take the time to register, it would be greatly appreciated.